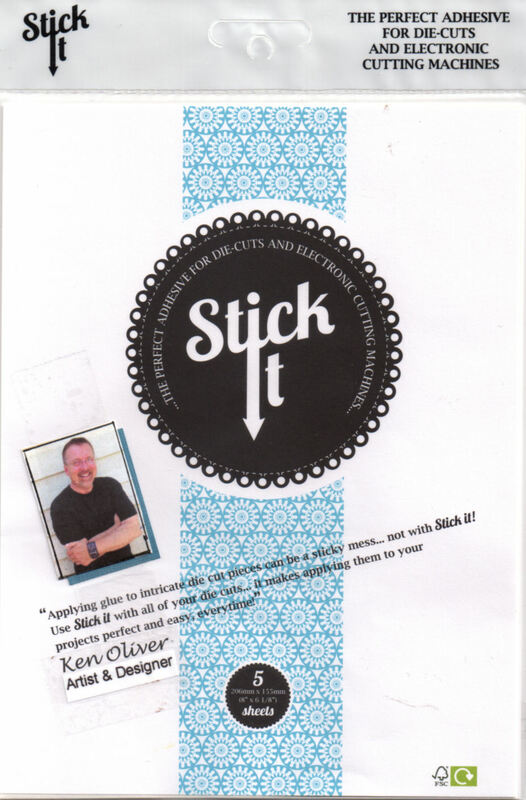 Hey everybody, I've just returned from the 2013 Craft and Hobby Association Show in Anaheim California and I gotta tell you the show was a blast! It's the biggest show in the world for the craft category, there was lots of new product and new inspiration at every turn. I LOVED IT! I got to see lots of old friends and got to meet lots of new friends too. 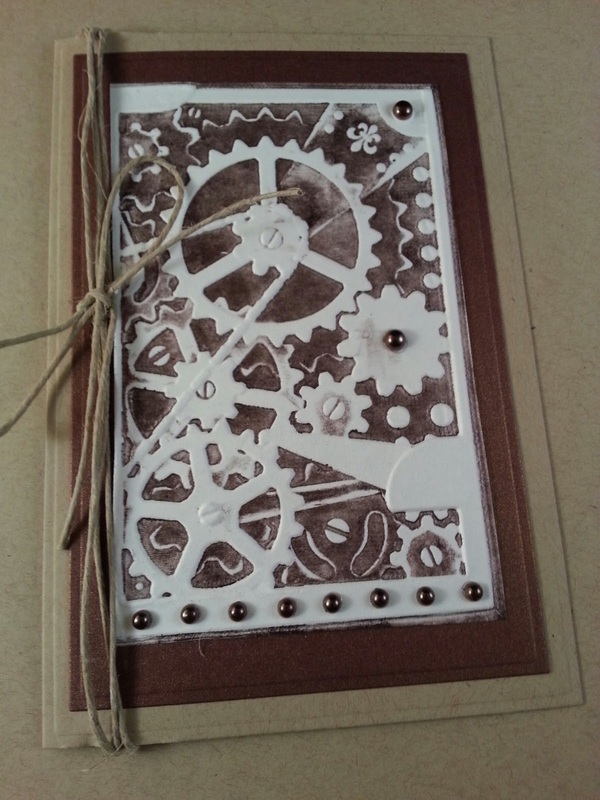 One of funnest things I got to do was demonstrate one of Spellbinders Paper Arts newest releases, Creative Cogs 3D M-Bossability Folder on Create and Craft TV. The new line of folders gives you real sculptural effects in an embossing folder...I gotta tell you these things ROCK! I used the folder to create two unique looks on two different cards. One technique is letterpress and the other is distressed foil. For the first card, I used the folder to letterpress. 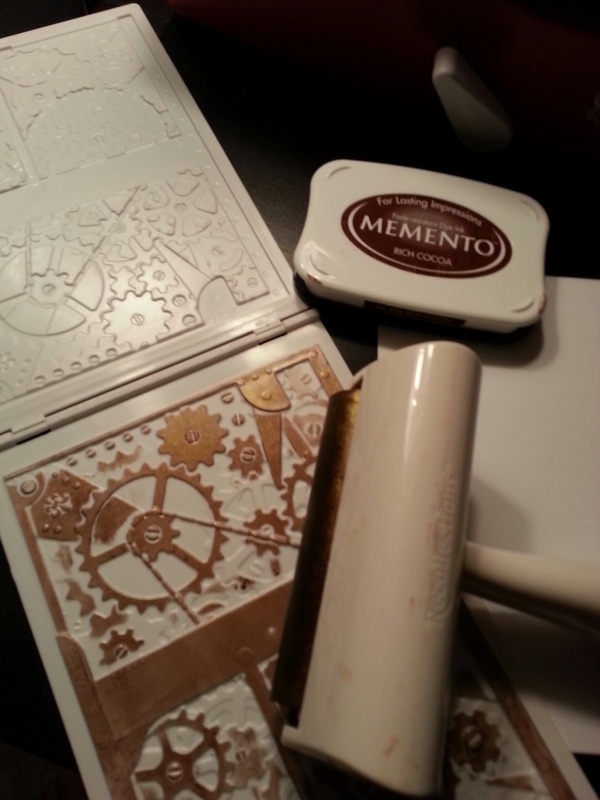 Ink your 3D M-Bossability folder with a brayer and ink. Then roll the ink over the surface of the folder, insert a piece of 5x7 white card stock in the folder, and run it through the Spellbinders Grand Calibur. It's important to note that the embossing sandwich is a little different with the 3D M-Bossabilities. Use the Pink Embossing Plate and the Raspberry Adapter Plate. You will get beautiful sculpted results every time. I M-Bossed on a piece of white 5x7 card stock, then created a layer with Spellbinders New 5x7 Matting Basics and affixed to a Kraft Card and finished with a piece of hemp twine. Easy Peasy and it looks great. It's perfect for that special guy. It's handmade and looks very masculine. 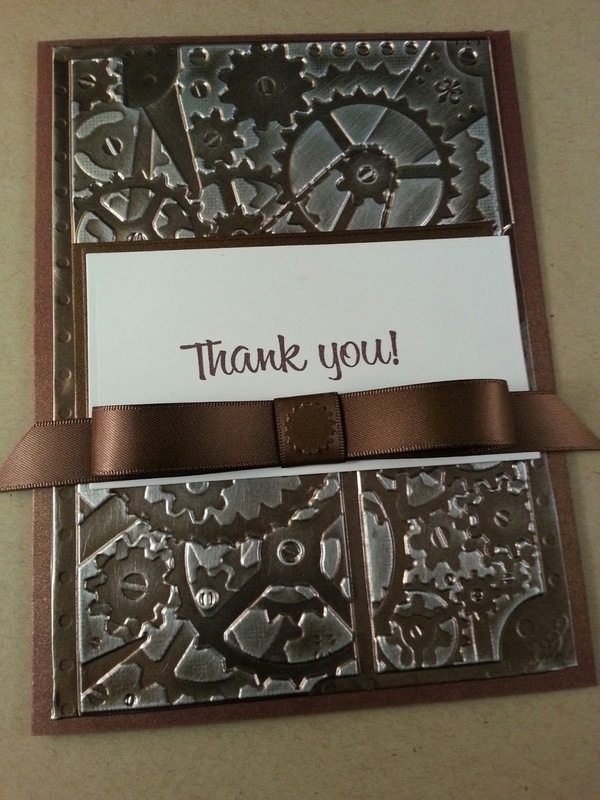 The second card we demonstrated uses a sanded foil technique...again, it's very easy. You can create this card in about 10 minutes and it looks great! Create and Craft TV 3D Mbossibility Demonstration. This card is so easy to make...you will wonder why you haven't used the Spellbinders 3D M-Bossibilites Folders before. Again, this card is very masculine, any guy would love to receive this card. Demonstrating these techniques on Create and Craft TV was really the highlight of the Craft and Hobby Association Show this year...I had SO much fun. Thank you for stopping by today...I am off on another crafty adventure for now! Fun techniques. I look forward to playing with some of these fun new products. Thanks Allie...I know you will love the newest releases...we even have new art papers in the Media Mixage line. Love these ideas. I might even like letterpress now. Hi Carol, Letterpress techniques are really fun! You can letterpress with dies too. Hey Margie, I had a blast with you at CHA too! and I am really glad we could teach you about the fine art of photobombing. You're a sweetie. These look great Ken. Cannot wait to give them a go myself! Thanks Seth, I can't wait to see what you create. I loved the piece you had at CHA...I want to try some of your rockin techniques with the cog dies too. Wow I'm so glad I stumbled across this page! I love this card. Masculine cards can be challenging. Thank you Google for finding this page!!! Brilliant walk-through! I Have a Joy! Trouvaille machine and cannot for the life of me get it to go through it, BUT!! I've made a shim from 6 layers of A5 (UK) card, A2 (US, I THINK) and for the first time, got a brilliant impression. Your cards are stunning and I love my EF even MORE after seeing what you achieved! Thank you.